Altitude: 1.650 - 1.850 masl. Packaging: GrainPro in sisal bags, 60 kg. Despite its proximity to Ethiopia, coffee was not cultivated in Kenya until 1893, when the "Fathers of the Holy Ghost" (French catholic missionaries), introduced coffee trees from Reunion Island and planted them near Mombasa. In 1896 the first plantations were introduced in the Kiambu - Kikuyu district, a very fertile area, which in 1912 already saw large plantations of several acres of expansion; there mainly were cultivated Bourbon and Mokka varieties. While credit for the introduction of coffee in Kenya corresponds to Catholic missionaries, were the English settlers, who accelerated the importance of coffee in the Kenyan economy. 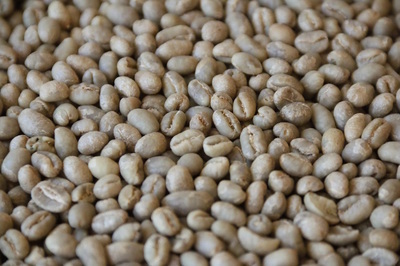 Large-scale production of coffee and other crops were heavily increased to be exported to Europe, in order to pay the exorbitant debts generated by the construction of the railway connecting Uganda with the port of Mombasa in 1901. After Kenyan independence from the British Empire in 1963, the long experience and extensive knowledge about coffee production was very well adopted by small local farmers, resulting in the high quality standards with which today Kenyan coffee is known in the world. Kenya currently produces about 0.5% of the world coffee market, there are approximately 700,000 small scale farmers and it is estimated that about 6 million people are dependant on the coffee industry. 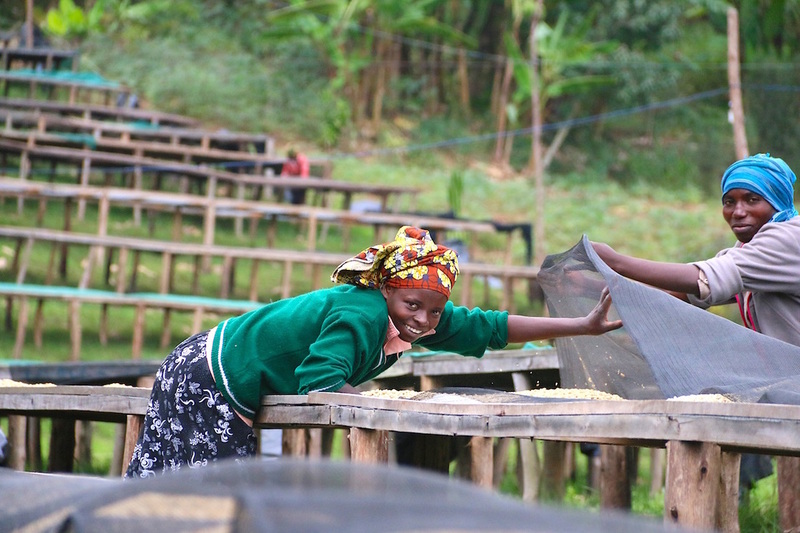 Our lot is produced by "Kabare Farmers Cooperative Society". 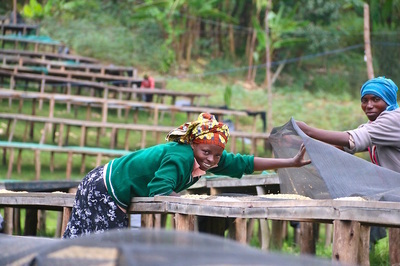 The cooperative has 11 washing stations (known in Kenya as "factories") and about 12,300 members (small farmers). This cooperative is located in the town of the same name "Kabare", district of "Kirinyaga", in the province of Central Kenya. More specifically, it is located on the southern slopes of Mount Kenya, which is the second highest mountain in Africa after Kilimanjaro. Nyeri and Kirinyaga are probably the most famous growing areas throughout Kenya. 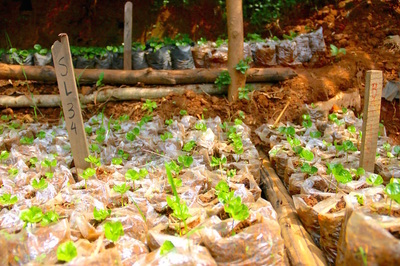 Both benefit from red clay soils rich in aluminum and iron, heights of between 1,300 and 2,300 masl and two yearly very well marked rainy seasons; all of this contributes to have in this small area, some of the best coffees in the world. 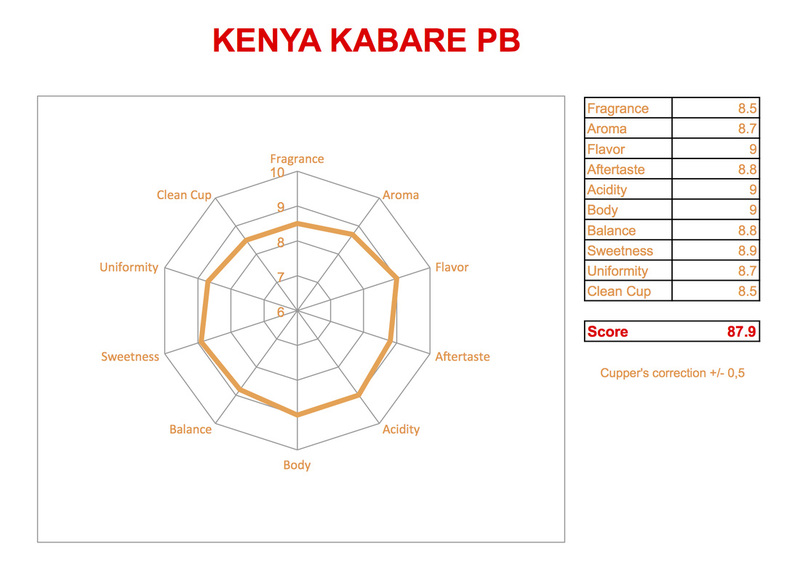 There are two particular varieties that attract most of the interest from specialty coffee buyers in Kenya, these are SL 28 and SL 34. The Scott Laboratories were hired to develop new cultivars between 1934 and 1963. The development of cultivars SL, was based on the Mokka and Bourbon varieties, which were introduced into Kenya by Scottish and French missionaries, from Yemen and Reunion Island respectively . Today, these two varieties are responsible for most of the top quality coffees produced in Kenya, but they are susceptible to coffee leaf rust. Kenya has done a huge job trying to find rust resistant varieties. 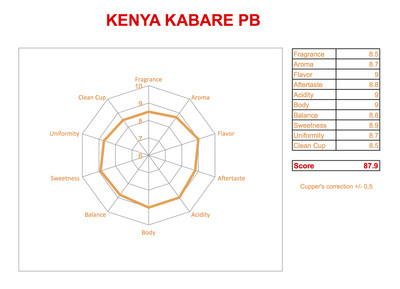 The "Ruiru 11" was the first variety to be considered a success by the "Kenyan Coffee Board". Unfortunately, it has not been well received by importers and the specialty coffee industry in general. By the end of 2010, a new variety called "Batian" rust resistant and which some say has a better cup "Ruiru 11", was introduced. We will still have to wait a few more years to know its full potential in the cup and productivity.